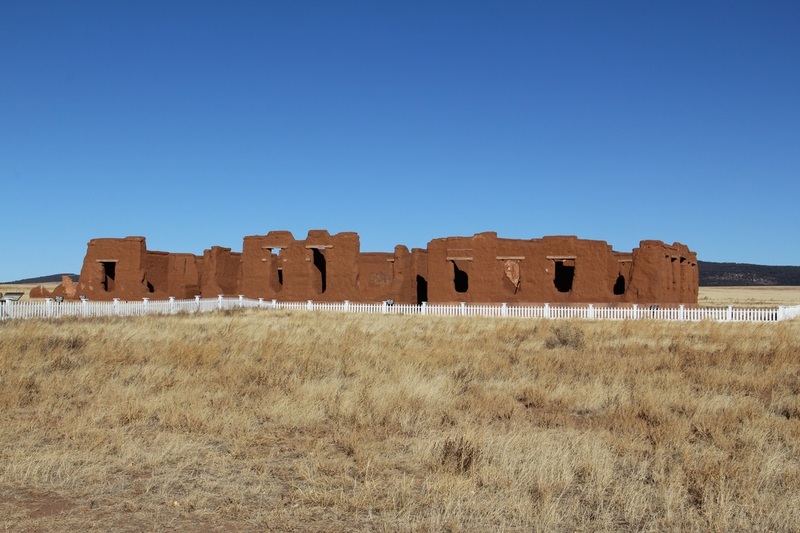 The first Fort Union was established for the protection of travelers on the Santa Fe Trail; as well as protecting the local residents from Indian attacks and as headquarters for the Ninth Military Department. 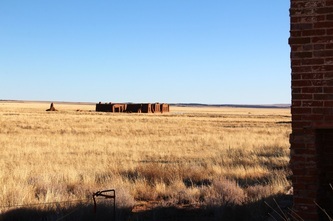 The fort consisted of log buildings and most all traces have vanished. 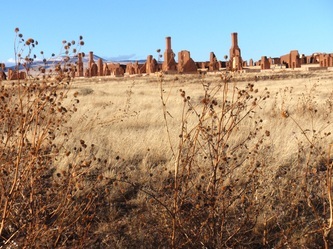 Ruins of the Ordnance Depot built in 1860 remain but are not accessible to the public. 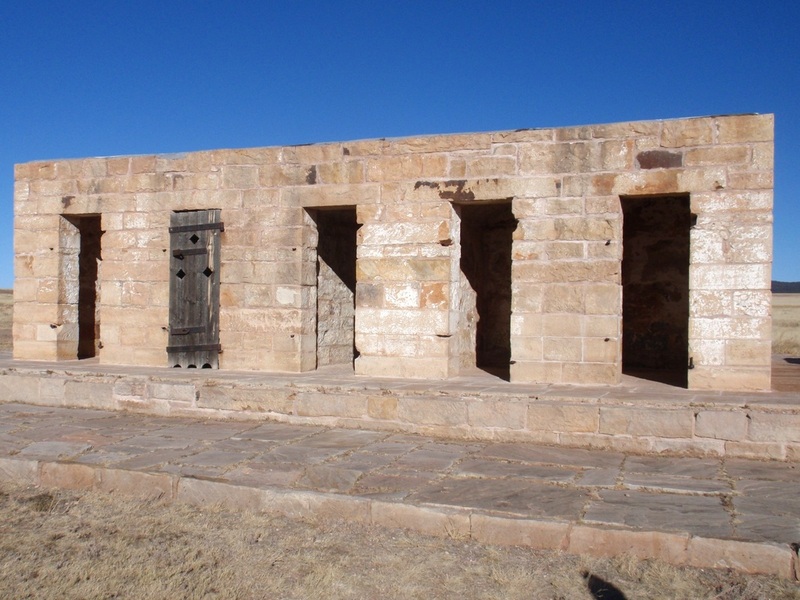 This fort was a massive earthwork designed to defend the Santa Fe Trail from Confederate invasion. The parapets soon eroded into the ditches. The rooms were damp and so unhealthy that most troops preferred camping in their tents outside. The fort was short lived; being abandoned in March, 1862, after turning back a Confederate invasion. This third and final fort whose ruins you see today. 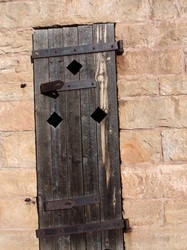 Built between 1863 and 1869, with modifications being done through the 187o's. It was the largest Southwest frontier U.S. military installation in the 1880's, over 720 acres, taking six years to build. 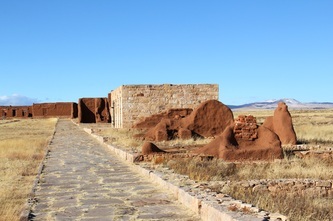 Consisting of the military post of Fort Union plus Fort Union Quartermaster Depot; it served as the principal supply base for the Military Department of New Mexico. 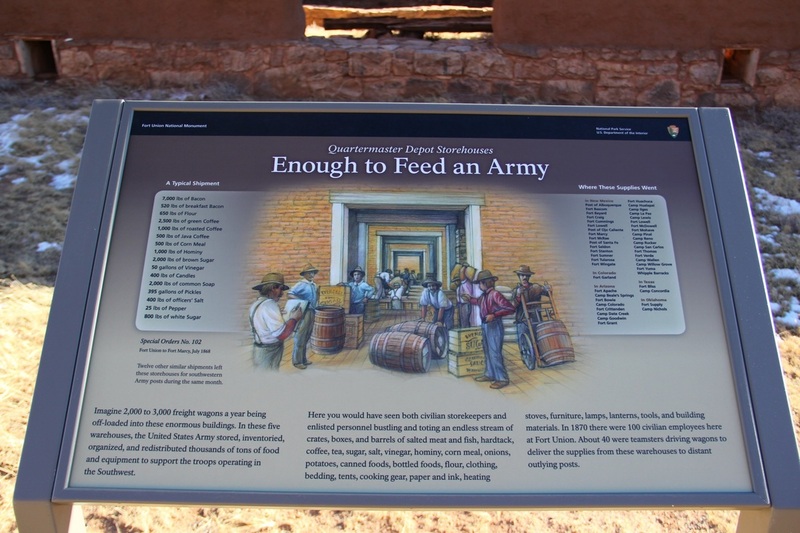 Goods arriving from the east over the Santa Fe Trail consisted of food, clothing, arms, ammunition, tools and other materials. 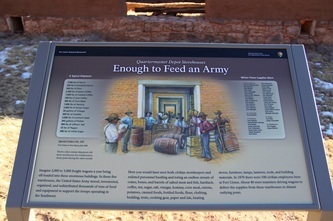 These goods and supplies were unpacked and stored in warehouses until assigned and shipped to other forts including those in the A.T. This function of the fort overshadowed the military operations and employed more people, most of which were civilians. 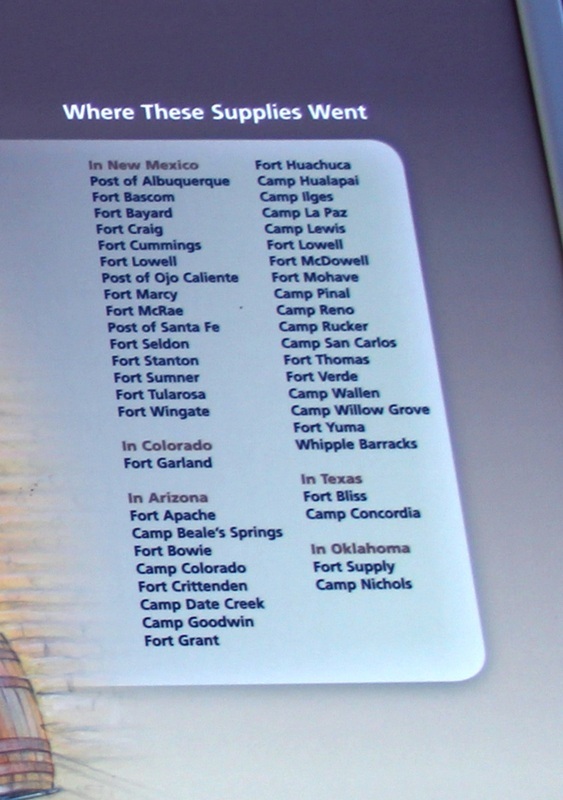 Through the 1860's and 1870's, the fort conducted operations against the Apache, Navajo, Cheyenne, Kiowa, Arapaho, Ute, and Comanche Indians; bringing peace to the southern Plains in the spring of 1875. After the United States & Mexican War, New Mexico became a U.S. Territory. 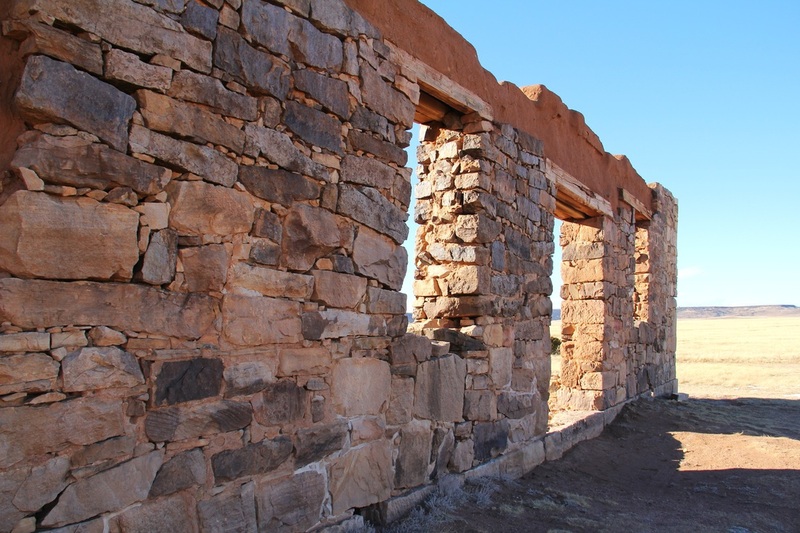 Garrisons were established by the Army in towns traveling along the Rio Grande to help protect the area's residents and travel routes. This didn't work!!! 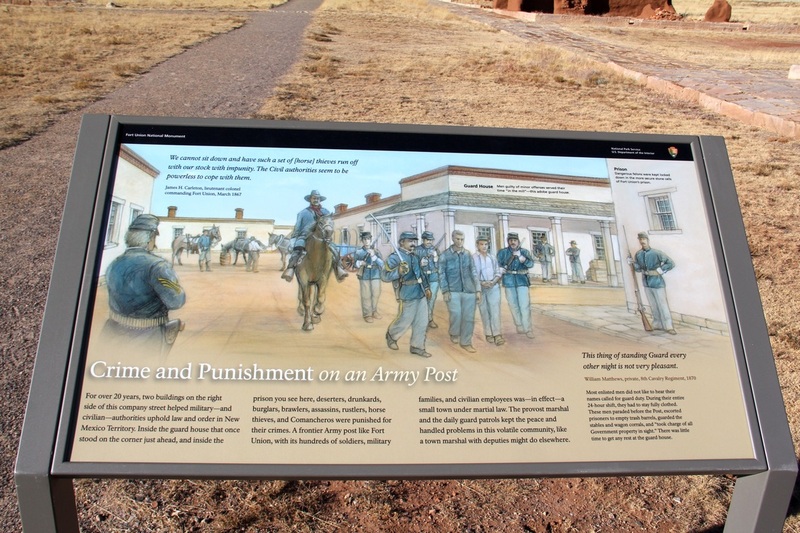 In April 1851, Lt. Col. Edwin V. Sumner, commander of the Ninth Military Department (which included the New Mexico Territory) received orders to 'revise the whole system of defense' for that entire area! 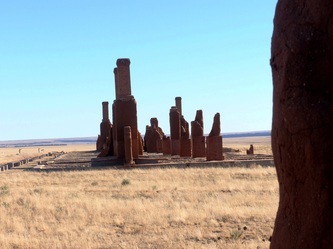 He first broke up the scattered garrisons and relocated them to posts closer to the Indians. 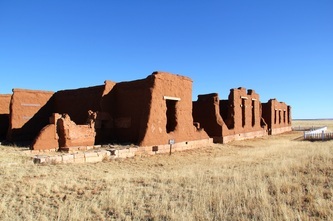 His headquarters and supply depot were near Santa Fe, so he established Fort Union and he moved them closer to the Mountain and Cimarron branches of the Sante Fe Trail. 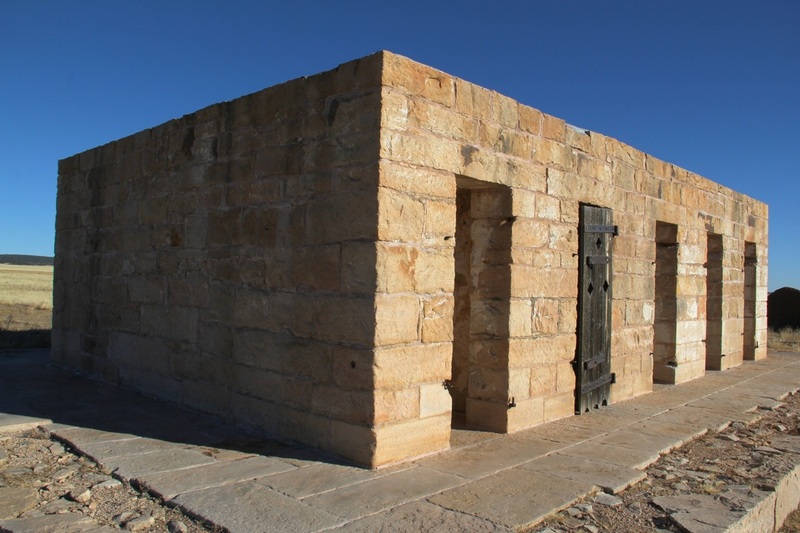 The first of three forts built served as the base for military operations in the area and a key station on the Santa Fe Trail, providing travelers a place to rest and obtain supplies before moving on. 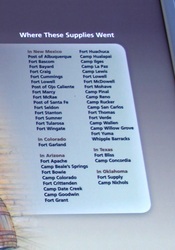 This initial fort also became the main quartermaster depot of the Southwest. In the 1850's, dragoons and mounted riflemen fought against several different Indian tribes around the Southern Rocky Mountains. 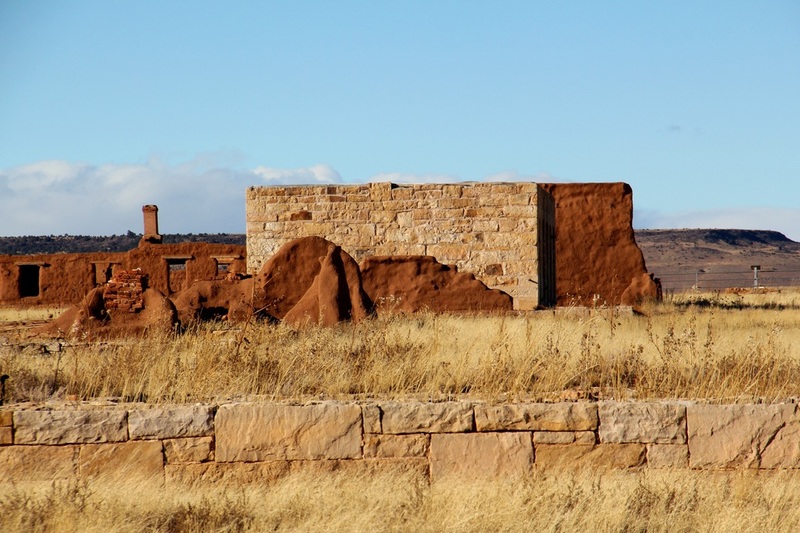 In 1854, the Jicarilla Apaches in a surprise attack nearly obliterated a company of dragoons. 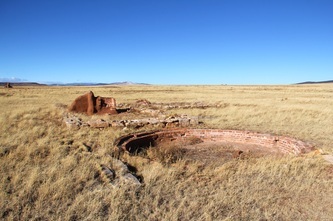 The Utes of Southern Colorado were a problem in 1855 and in 1860-1861 the Comanches and the Kiowas were raiding in the East Plains of the Fort. 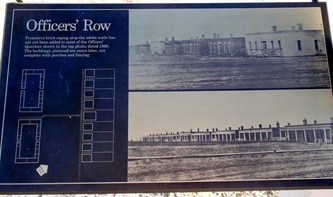 In April of 1861, most of the troops were sent to frontier posts and replaced by volunteers, due to the start of the Civil War. 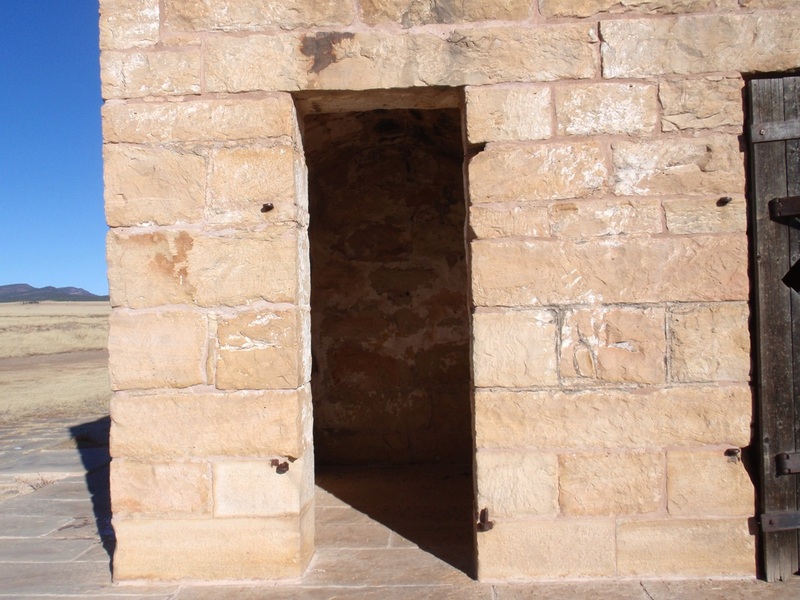 A second Fort Union, a star-shaped earthen fortification, was built to strengthen their force. Col. Edward R.S. Canby, was placed in charge of this expecting a Confederate invasion of New Mexico. This second fort did not see the action that was expected. At the Battle of Glorieta Pass the forces of the Colorado and New Mexico volunteers and the U.S. Regulars from Fort Union were able to halt and turn back the Confederate invasion in 1862. 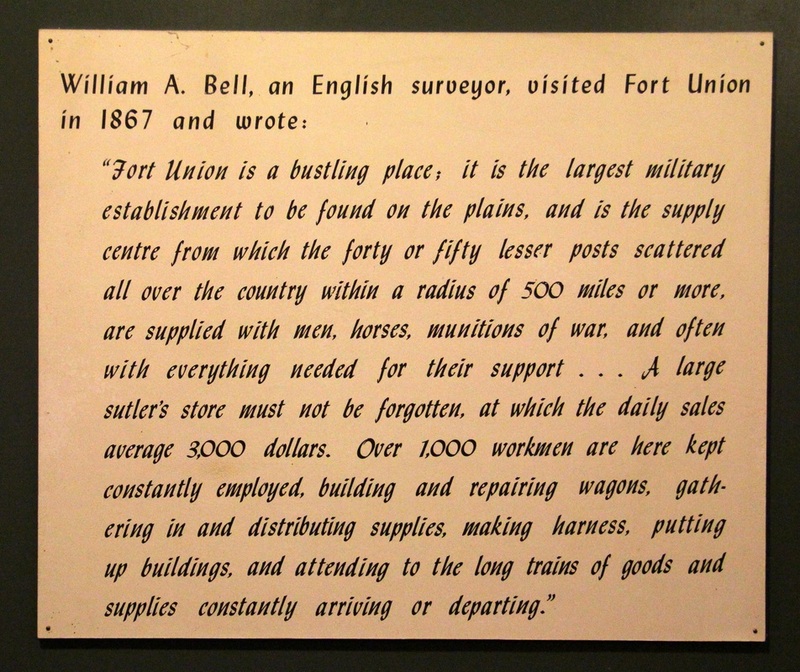 This second Fort Union was later disbanded when the Civil War activity in the Southwest ended and the Confederates withdrew to Texas. Brig. Gen James H. Carleton, the new departmental commander, began construction of the third (and final) Fort Union in 1863, as New Mexico was safely in Federal hands at this time. This being the most extensive installation in the territory it took six years to complete. 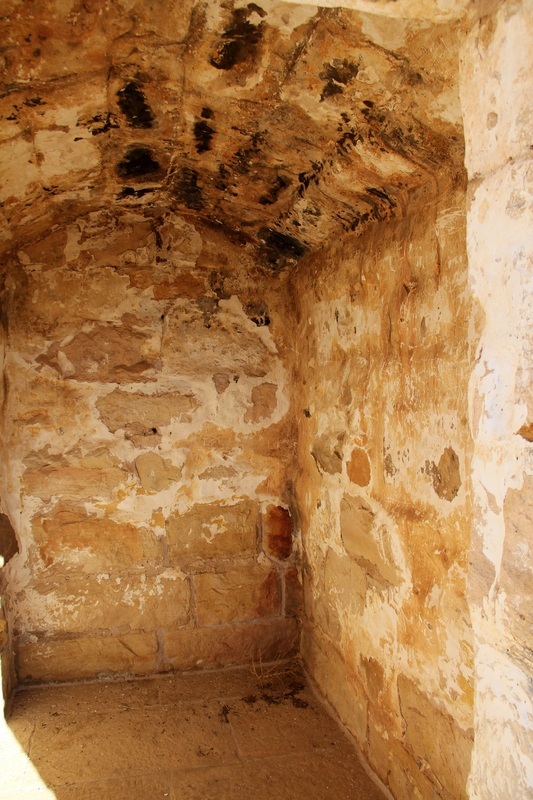 It encased the military post and all its needed structures along with a quartermaster depot. There were warehouses for the supply functions of the facility, as this was nearly as important as the military functions. There were all sorts of facilities available: offices, shops, corrals and living quarters. At the western edge of the valley, on the site of the first fort, and Ordnance depot was built and thus making the complex complete. The Indians continued their campaigns during the 1860's and 70's which involved the troops from Fort Union. 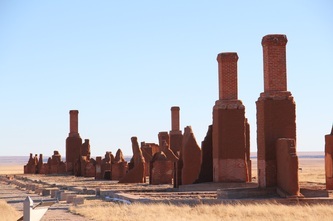 Finally, in the spring of 1875, peace was brought to the southern Plains. This was only after numerous battles with the Apaches, Arapahos, Cheyennes, Commanches, Kiowas, Navajos and the Utes. 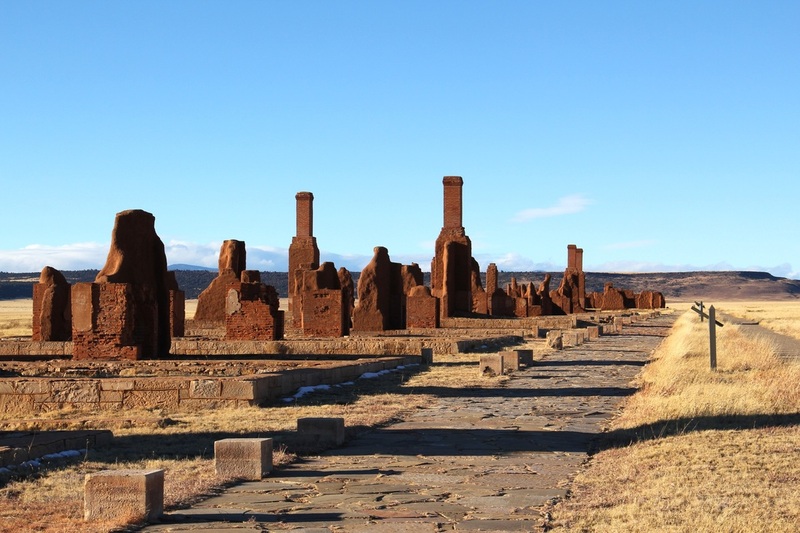 Eventhough the Indian battles subsided, Fort Union was instrumental in maintaining law and order in the area. 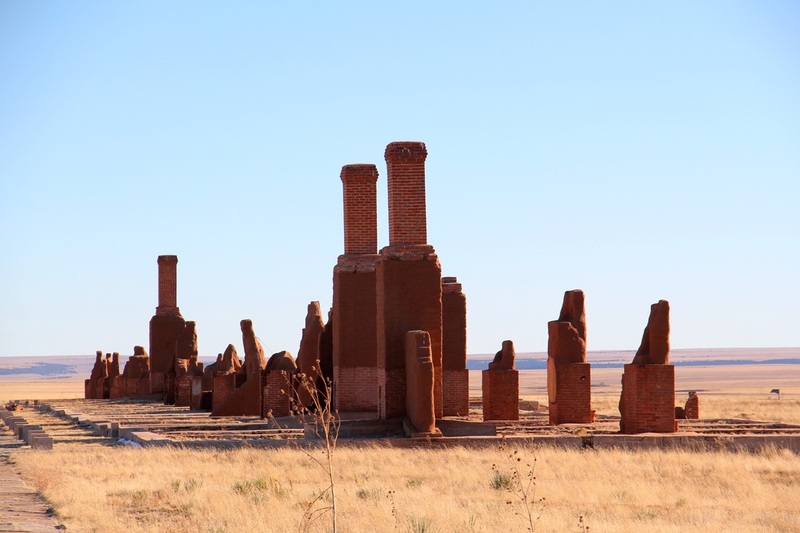 In 1879 the Santa Fe Railroad replaced the Santa Fe Trail and the supply depot no longer was nearly as valued, as the Railroad had become the main travel source. The Fort served its usefulness well until 1891 and was closed. THE SANTA FE TRAIL, AN IMPORTANT RESOURCE FOR TRAVEL, COMMERCE AND COMMUNICATION FROM 1821 UNTIL 1879. YOU CAN STILL OBSERVE THE IMPORTANCE IN HISTORY OF THIS TRAIL WHEN VIEWING THE RUTS LEFT IN THE SOD AT THIS SITE. The Santa Fe Trail was one of the many threads in a mosaic of trail routes that traversed our country. It influenced international commerce from London and New York! Traveling across the Great Plains for 900 miles across the United States from Mexico to Missouri! 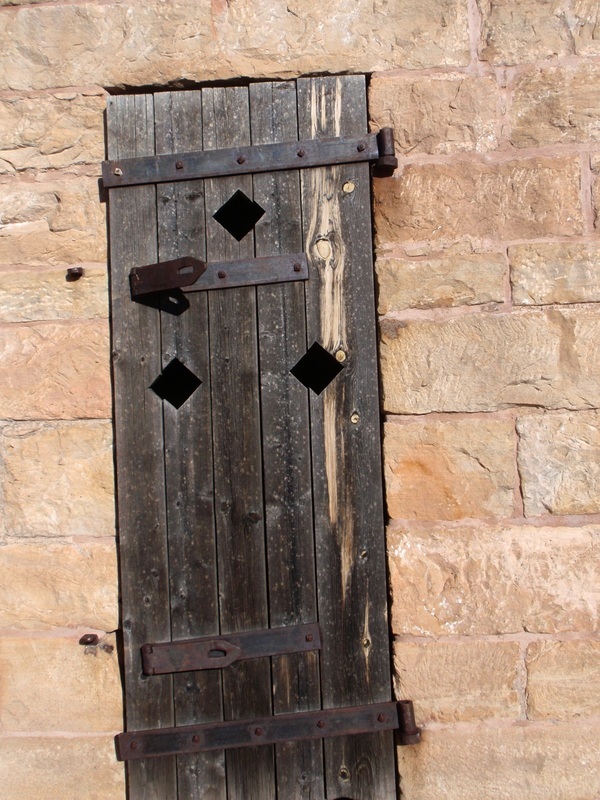 Soldiers used the trail in the 1840's to quell border problems. The importance of soldiers were appreciated in resolving conflicts with traders and Indian forces. It was amazing the different people using this trail. There were a number of emigrants, as well as those looking for gold! There were hunters and trackers moving across the land and their needed translators. Those just looking for adventure and those looking for a new home. At that time there were many Mexican children looking to go to schools in the United States. 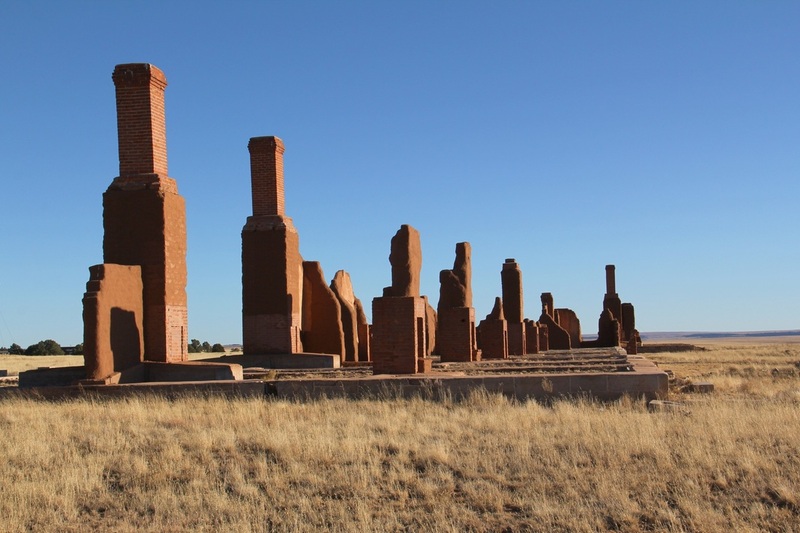 Santa Fe was the key to trade after the Mexican people revolted against Spain in 1821. 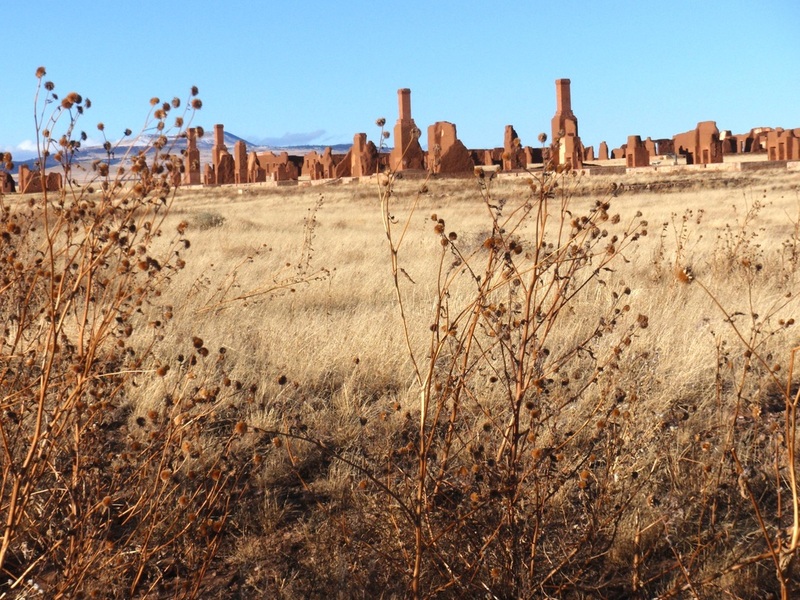 This provincial capital was the gateway to Mexico and their interior markets. The Mexican officials encouraged this trade among the American people thus linking the two economies. 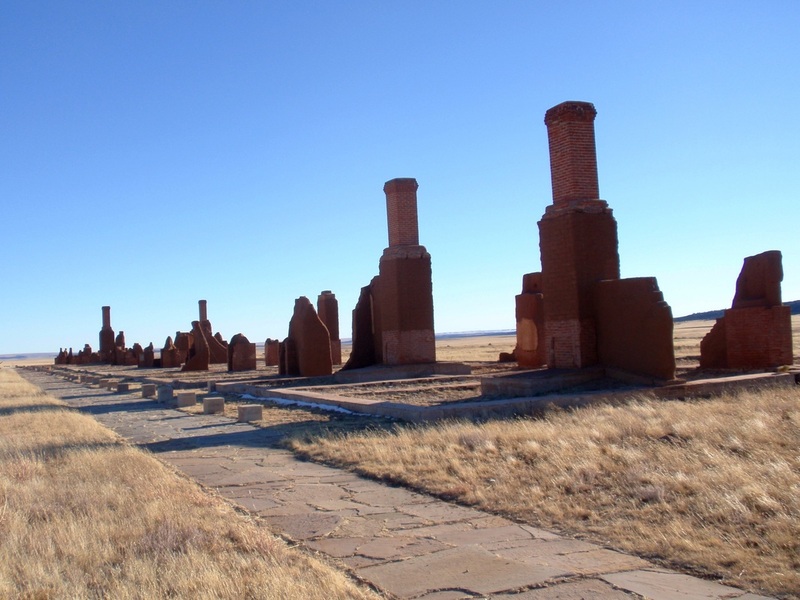 The Santa Fe Railroad eventually replaced the Santa Fe Trail with the close of the civil war in 1865. 1821 Mexico wins independence from Spain and William Becknell's party from Missouri is welcomed in Santa Fe. 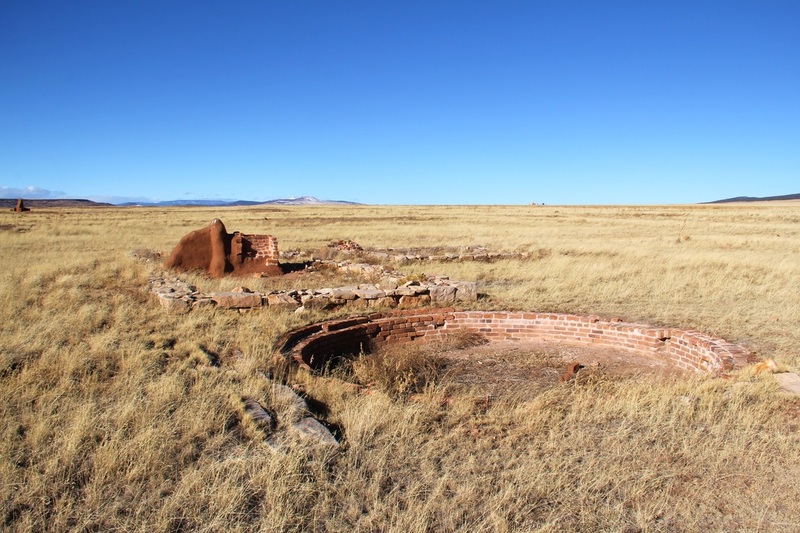 1833-1834 The Bent brothers, Charles and William, and Ceran St. Vrain build Bent's Fort. 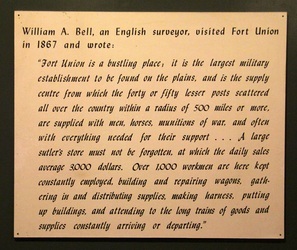 This function of the fort overshadowed the military operations and employed more people, most of which were civilians. 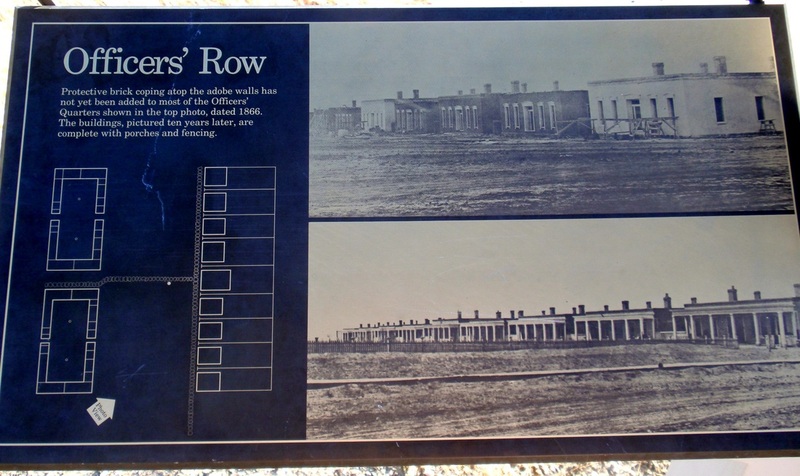 Included in the quartermaster depot were warehouses, shops, corrals, offices, and quarters. 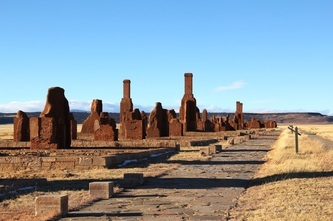 Rounding out the complex an ordnance depot was built on the western edge of the valley, at the site of the first fort. Best hospital in 500 miles. Built in 1864 at a cost of $45,000. 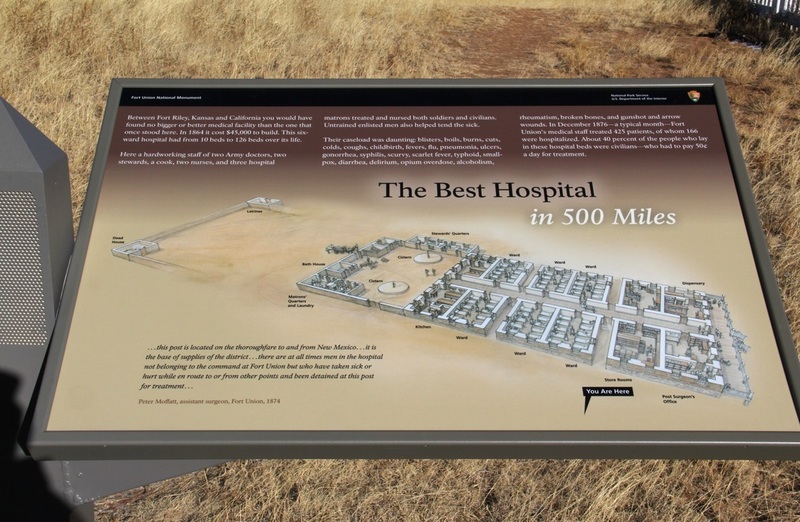 Six wards, 10 to 126 beds, surgeon, assistant surgeon, and staff made this one of the west's best hospitals. Care for the soldiers and their family was free; civilians made up about 40% of those hospitalized and paid about fifty cents a day for care. Officers and their families lived in the nine houses in this row. The eight duplexes, four on each side, with the post commander's larger home in the center. 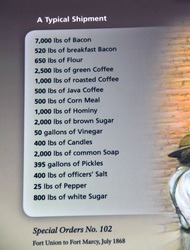 Quarters were assigned based on rank so junior officers took what was left. 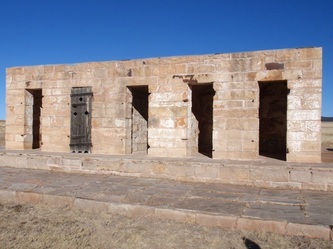 Col. Randolph B. Marcy inspected the fort in 1867, calling them "far better than any officers' quarters that I have seen at any other frontier post." 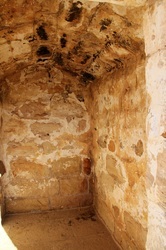 Criminals, military as well as civilian were confined here. The cell block was surrounded by an adobe building with an entrance on the north side, the cell block is all that remains today. Two or more prisoners often shared a cell, sleeping on straw mats. Built in 1868 this was one of the last buildings completed. From Albuquerque (156 miles), Santa Fe (94 miles) or Las Vegas, NM (28 miles) take I-25 north, exit 366 at Watrous, 8 miles on NM 161. From Denver (313 miles), Colorado Springs (243 miles) or Raton (95 miles) take I-25 south, exit 366 at Watrous, 8 miles on NM 161. All well marked paved roads, no GPS, or 4x4 needed for this one. Yep there's even a gift shop.